Everyone was happy, everyone celebrated when they heard the news that President Bingu wa Mutharika had died from a heart attack in his office. This was in April 2012, three years after his second term as president began. Many people said he was turning his back on 18 years of democracy in a country called the ‘Warm Heart of Africa’. 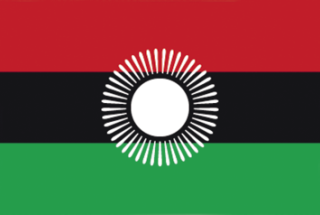 Mutharika had come to power in 2004 and there was seven years of economic success (with a successful fertilizer subsidy programme and more foreign aid) so Malawi was one of the world’s fastest-growing economies. 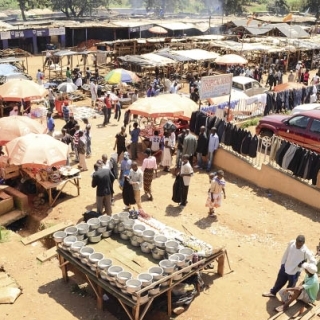 The economic success ended in 2011 after Mutharika argued with Britain – the former colonial power (independence came in 1964) and the country that gave most aid. So both countries expelled diplomats and the aid was stopped. After agriculture, aid was the most important source of money. The countries argued because a diplomat had called Mutharika ‘autocratic and intolerant of criticism’. Their currency was weakened, which stopped imports of fuel and medicine. The economy got worse in July 2011 when the US stopped a payment of $350-million to repair the power grid after police killed 20 people in anti-government protests. So when Mutharika died, many people, including people who donated money, had reasons to celebrate. Malawians put all their hopes in Vice-President Joyce Banda – a women’s rights activist and no relation to Hastings Banda, who led the country from independence until 1994. When Joyce Banda became President, she was the first female President in southern Africa and only the second in Africa after Liberia’s Ellen Johnson Sirleaf. With a lot of support, Banda started many reforms that Mutharika had refused to do. She stopped the kwacha being linked to the US dollar. This caused a 49-per-cent devaluation, to try to improve the economy. She also said she was taking a 30-per-cent pay cut and that she was selling the 60 Mercedes limousines used by ministers and the presidential jet that Mutharika bought when he was chair of the African Union. The good news is that this started the aid again. But the bad news is that she is getting less popular. Food and other prices are going up quickly – inflation reached 38 per cent in February. A family of six in a city now needs an average of $200 per month for basic food demands. This is bad news in a country where the minimum monthly wage is about $20. Supported by the IMF, Banda is optimistic that inflation will soon start to fall and this will make the central bank change the base lending rate. But it is unlikely that the economy will improve quickly. This is the main problem for Banda as she prepares for an election in May 2014. Her party is in a minority in government, so she might not be in a strong enough position to continue with the new reforms. So it is not surprising that Banda has recently refused to increase the price of fuel. She has another problem – the fight between Malawi and Tanzania about who owns Lake Malawi. If this problem continues, it might be bad for peace, regional integration and trade. In this country, the genders are very unequal and there are many strong cultural attitudes. Let’s see how much Banda can do. Economy GNI per capita $360 (Zambia $1,160, UK $37,780). Money Kwacha. Last year it stopped being linked to the US dollar, and so it was devalued by 49%. Main exports Tobacco, sugar, tea, coffee. Tobacco is over 60% of exports and 15% of GDP. But recently, they have earned 80% less because of bad prices because of the global fight against smoking and by poor quality tobacco leaves. People 14.9 million. Annual population growth 2010-15 was 3.2%. The population is young - 54% are 18 or younger. People per square kilometre 126 (UK 253). Health Infant mortality 58 deaths per 1,000 live births (Zambia 69, UK 5). Lifetime risk of maternal death 1 in 36 (UK 1 in 4,700). HIV rate 11%. AIDS has killed a generation of adults and left a million children with no parents in the last 20 years. Environment Land is getting bad: soil infertility, soil erosion and deforestation are Malawi’s biggest challenges. Culture	Chewa 32%, Lhomwe 18%, Yao 13%, Ngoni 11%, Tumbuka 9%, Tonga 2%, Ngonde 1%, other 14%. Religion Christian 83%, Muslim 13%, other 4%. Language Chewa is the official language but English is used a lot. Other Bantu languages are used by the different ethnic groups. Human Development Index: 0.418 – 170th of 186 countries (Zambia 0.448, UK 0.875). Income distribution The rich are still getting richer and the poor are getting poorer. This is because of corruption of the people with power. About 51% of people still live below the poverty line. Life expectancy 54 years (Zambia 49, UK 81). The life expectancy rate is now a bit better after 39 years from AIDS a decade ago. Position of women Gender inequality is high at 0.573. But there are more women in politics in the last decade and Banda has given many women positions of power in the last year. There are more women in parliament (22.3%) than in the UK (22.1%). Literacy 63%. The introduction of free primary education about 19 years ago has not changed much– there is more pressure on schools and they use unqualified teachers, which is not good for the quality of education. Freedom The country still has a critical press, an opposition, civil society and a people that speak freely. There are strict laws that stop people from speaking freely in anger against the President. Sexual minorities Homosexuality is illegal in Malawi and there is a maximum sentence of 14 years in prison for it. NI Assessment (Politics) After one year in power, Banda and her People’s Party are now trying to win voters for next year’s elections. Banda is desperate to win, so, like other leaders before, she has stopped the opposition from using state media. She is giving free maize from reserves for her campaign. No-one knows if this is enough to become popular again after all the painful cuts. This page was last edited on 15 August 2013, at 21:53.